One of the nice things about living in Salt Lake City is that spring seems to last forever. Well, not really. In fact, spring and fall — my two favorite seasons — are notoriously short and fickle in the Salt Lake Basin. However, in the midst of July, when temperatures at city level are topping 95 or even 100, when the flowers have long since withered under the intense glare of the desert sun, you can drive 45 minutes away to witness spring anew. 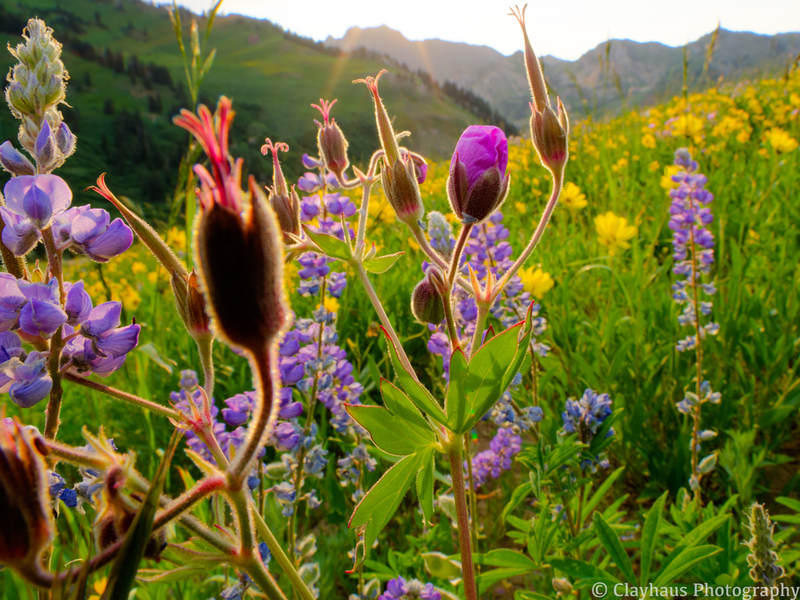 In the nearby Wasatch Range — most notably, perhaps, in the Big and Little Cottonwood Canyons — at 8000-9500 feet elevation spring is just ramping up by July 4th and a few short weeks later riotous colors abound. True, the season is just as short up high as it is at valley level, but to see flowers bloom ‘again’ is a treat. 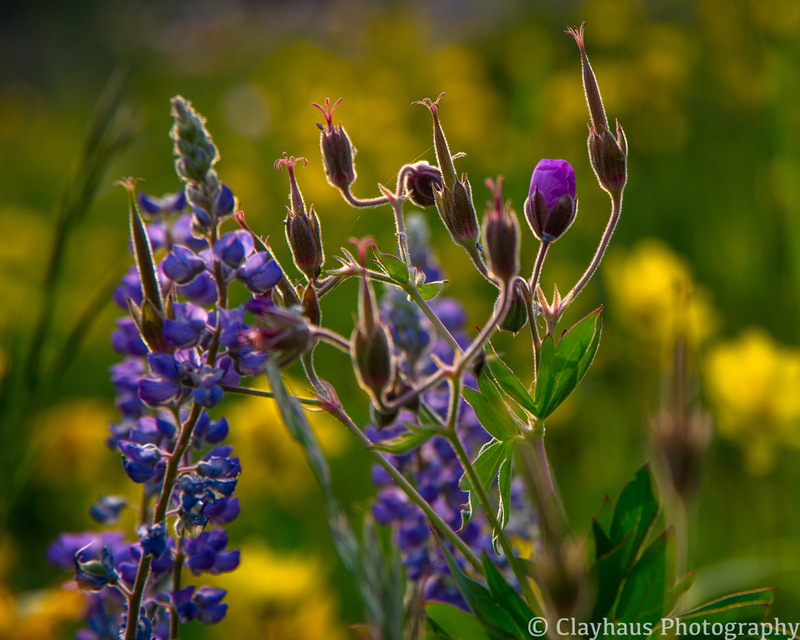 If you really love to see (and photograph) mountain flowers you should plan on making several drives up the canyons to catch the different species at their varying high points. 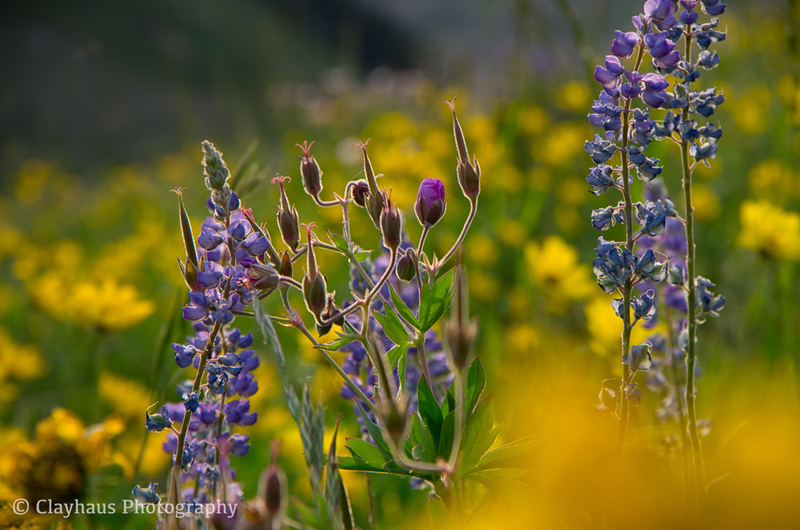 The Wasatch Camera Club recently hosted an Albion Basin Wildflowers field trip. About 15 of us carpooled up Little Cottonwood Canyon. Of course, unless you want to deal with no parking and crowds one should always avoid the Wasatch Wildflower Festival! We didn’t check the schedule but since we were trying to catch early evening light, many people had already headed home for the day. I tried some deep focus shots with flowers at my feet and the mountains in the far distance. But the light was not terribly helpful — being a bit flat and colorless — and there were none of the hoped-for large billowy clouds. 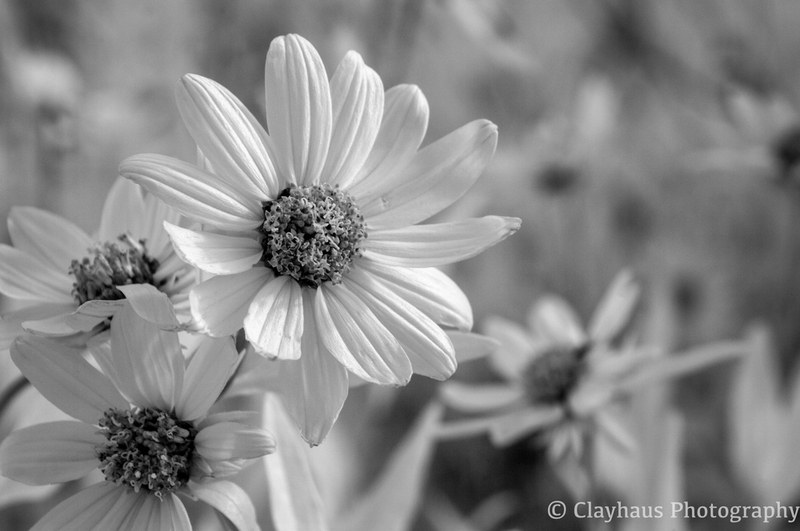 Shifting focus — literally and figuratively — I started looking for attractive and compelling single or small groups of flowers. 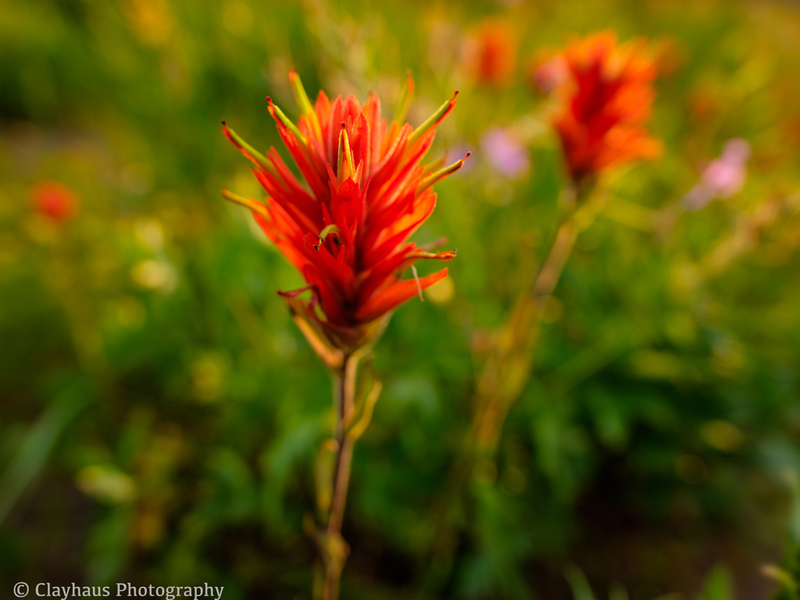 The Indian Paintbrush and lupines were at their peak whilst the little sunflowers were starting to curl. I did capture one nice composition of the latter using my Spencer’s Cameras infrared conversion of my older Pentax K20. This coupled with a new purchased used Pentax 24-90mm lens yielded the one b&w keeper. I also had with me a new Rokinon 16mm lens that I had purchased for nightsky photography. Its close focusing capability coupled with its f/2.0 extreme shallow depth of field, made for some very interesting photographic positions as well as engaging compositions. I also used one of my favorite travel lenses — a Pentax 18-135 — to zoom in and isolate particular flowers from both the foreground and background. 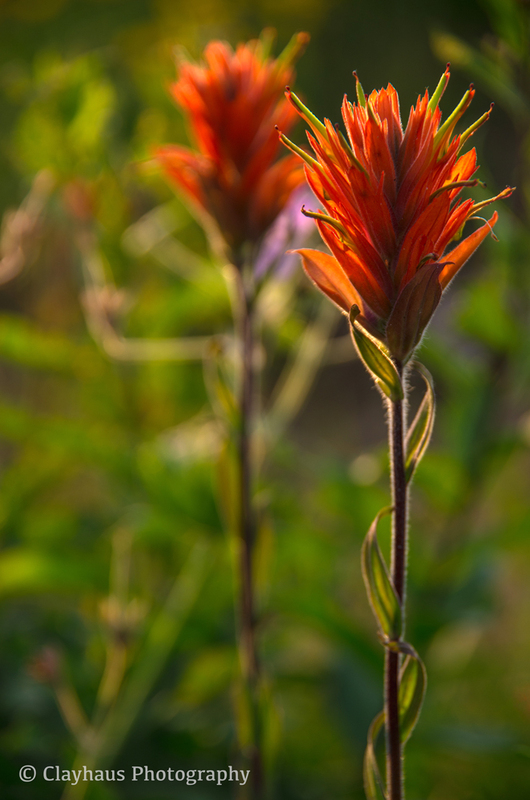 Tightly focused on the back-lit flowers produced the classic rim light effect. It was a short shoot with an unusually small number of images taken (at least, for me!) but at least two of the images are “worthy” enough to be printed and matted for the upcoming Park City Kimball Arts Festival. Perhaps they will even sell! One suggestion for those who want to view and photograph the wildflowers: in addition to NOT picking the flowers (do we even need to say that? yes), please be careful when tromping through the fields. Choose already established paths when possible and try not to create your own! Beautiful photographs, but you already know that. But probably most people believe that it is the subject matter which makes them beautiful, whereas in truth it is the skill and and artistry of the photographer. A welcome sight for weary July-eyes to see these refreshing bursts of spring. Thanks Roy. A well-crafted, sublimely composed, and suitably processed image can allow the inner ‘truth’ of a subject shine. On the flip-side, a crummy photograph of a beautiful subject remains … crummy.